An old motorcycle is a treasure! However, it can also give you a headache, especially because it can be prone to a number of problems, including those that are briefly mentioned in the rest of this post. Aside from identifying the most common issues that will confront you, we will also have a quick look at some of the best and easy ways to have them fixed. 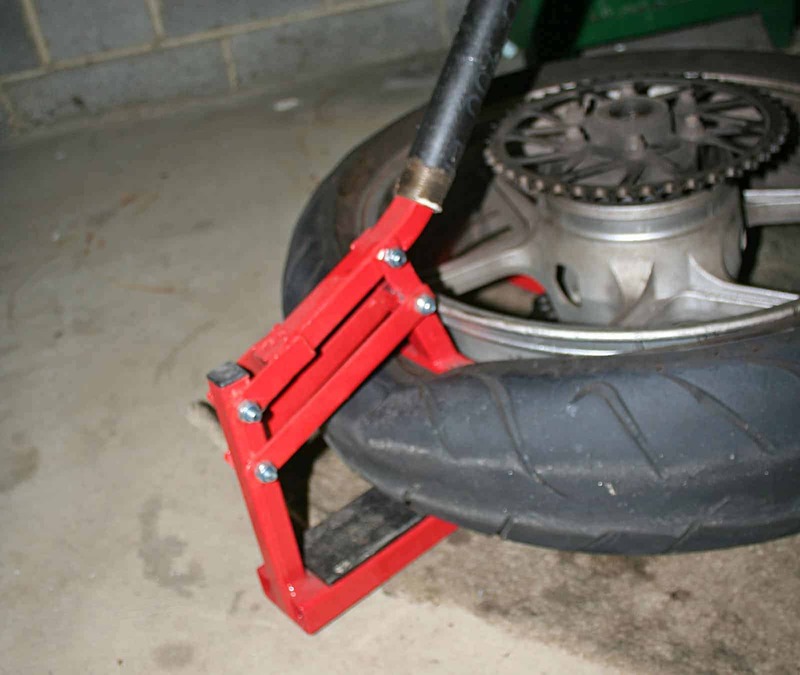 More often than not, the problems in older motorcycles can be fixed on your own using the basic tools. However, if you are unsure whether you can do it, it would be best to ask for help from a professional mechanic. If you find rust in the fuel tank, this is one problem that needs immediate attention. Otherwise, it can break down the components. They will also become smaller pieces that can infiltrate the fuel system. The result is that it can clog the fuel filters and the carburetors. All that you have to do is to perform a quick visual inspection of the tank. Open the tank and pay close attention to all sides to see if there is rust present. From the first sign of the problem, it should be quickly dealt with. 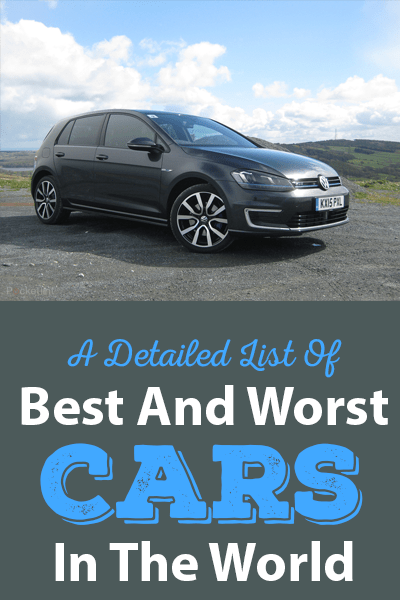 There are many products commercially available that will help you to get rid of the rust. You can use abrasives, such as nuts and bolts to scrap the rust. Using hydrochloric or muriatic acid is also a promising solution. When you do this, however, be sure to have the proper protective gear. When it comes to rust, prevention is better than cure. One of the best ways to prevent rust from forming is to make sure that the fuel is always fresh and that the fuel tank is kept full. This will help to get rid of moisture, which will also lessen the likelihood that rust will form. The main cause of the vacuum leak in a motorcycle is the introduction of extra air in the fuel and air mix that is produced by the carburetor. As a result, the motorcycle will end up running lean. This is a problem that is often apparent around the rubber boots. The surrounding rubber will eventually suffer from degradation. The rubber can also become dry and brittle. The throttle shaft seals can also be the cause of the leak. Replacing the latter can be quite a difficult task. 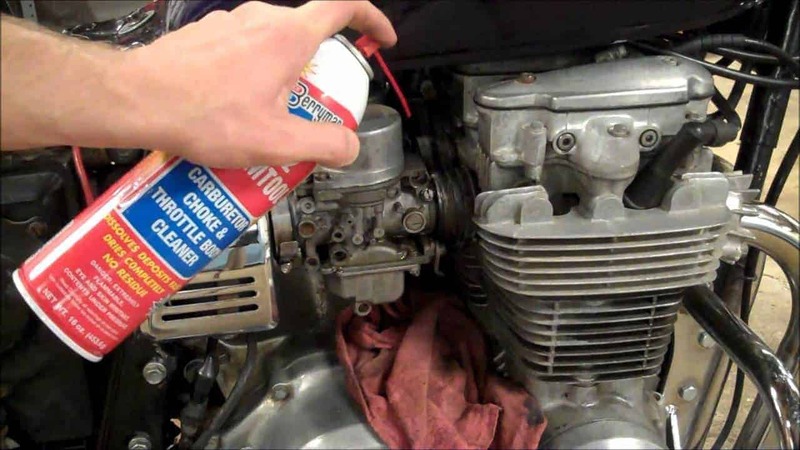 Pay attention to the most common symptoms which indicate that your motorcycle is suffering from a vacuum leak, such as a decrease in the performance of the engine. When it comes to dealing with vacuum leaks, the best solution is to replace the carb holders or the vacuum leaks. If you have an old motorcycle, another part that requires your attention is the carburetor. Chances are, it will need cleaning or rebuilding to maintain the performance of your motorbike. The small fuel passages can be clogged over time, which will cause the damage in the carburetors. This is definitely the case if your motorcycle has been unused for quite a time. To know if there is a problem with the carburetor, pay attention to the engine. If it runs with the choke either fully or partially on, take this as a sure sign that you have an issue with the carburetor. A fuel that is leaking on the ground or the airbox will also signify a problem with your carburetor. If you think that the carburetor is the issue, the easy solution is to have it removed from the motorcycle. After which, have it fully disassembled and expect the individual components to be sure that it is free of problems. Once it is cleaned and re-assembled, a vacuum synchronization procedure should follow. While fork oil leaks are common, when they are already severe, they need immediate attention. It can leak down all the way to the brake pads, which is one thing that you surely would not want as it can have a negative effect on the braking mechanism. The continuous leak of the oil can also be potentially damaging to the front suspension as the damping capabilities will be lost, and in turn, this will compromise your safety. If there are fork oil leaks, the easy solutions include replacement of the bushings and the fork oil seal. You might also need to replace the fork oil. If you have an old motorcycle, chances are, it will also have issues with the tires. This is important to be resolved as soon as possible since tires will have an impact on the overall performance of the motorcycle, as well as your comfort and safety. The tires can degrade and crack through time. It is advisable that you determine the age of the tire. All that you have to do is to look at the sidewall. If the tires were manufactured before 2000, there are three digits on the sidewall. The first two digits will identify the week of the manufacturing while the last digit corresponds to the year. For tires that are newer, there are four digits. The first two digits show the week of production and the last two digits show the year. If the tires are already old, the safest thing to do is to have it replaced with new ones. Choose only premium quality tires to be confident of your safety on the road. A leaking oil on the road with your tires rolling over is never good! It can put your life at risk. Your engine can also be starved of oil when there is a leak, which will have a negative effect on its performance. The good thing about this problem is that it is easy to spot. Some of the spots that you have to check are the oil pan seal, cylinder head gasket, oil filter, hoses, and tubes. An easy fix to an oil leak is to disassemble all the parts and have it cleaned. Use a scraper to get rid of the old gasket and replace it with a new one. The electrical system can also be problematic in the case of old bikes and it requires immediate attention. Using a multimeter is the best way to test the electrical charging system to be sure that it is operating the way it should be. Attach the multimeter to the battery and look of the reading when the engine is not running. Next, turn the engine and record the voltage. After this, rev up and record the voltage once again. Consult with the manual to see the ideal voltage. 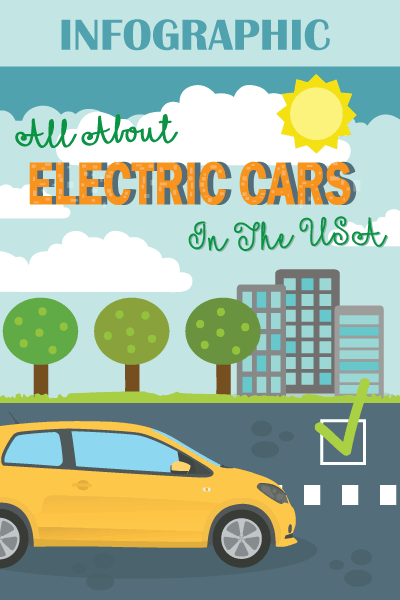 When there is a huge discrepancy between what is on the manual and the voltage that you have recorded, you need to fix the electrical systems or have it replaced by a pro. If you have an old motorcycle, it is also no longer surprising to learn that there is a problem with the braking system. Test the brakes and if it is not as strong as it should be, perform quick fixes to maintain roadworthiness of the motorcycle. As it has been recommended by most motorcycle manufacturers, you will have to replace the brake fluids at least once every two or three years. When the brake fluid is new, it is amber or clear. If it is dark, this is a sign that a replacement is warranted. See to it as well that there are no visible damages on the rubber brake lines. The master cylinder seal will also need an inspection as it is the one that applies pressure to the brakes. There you have it, folks! 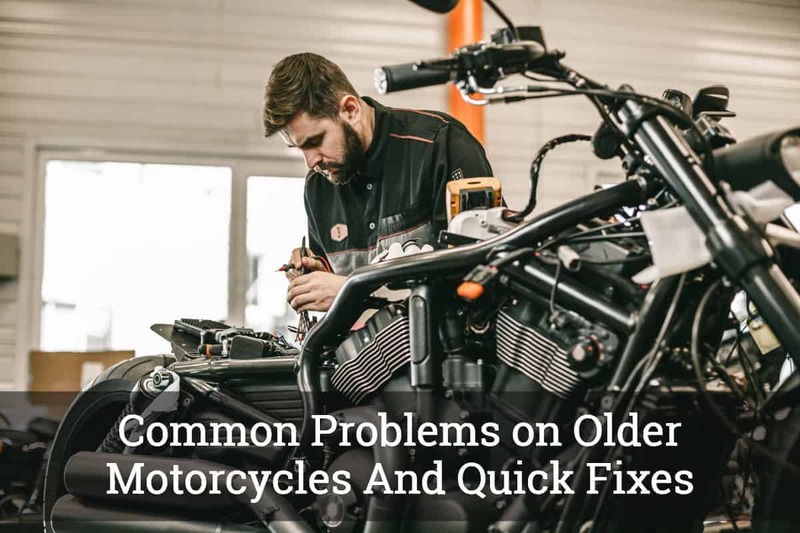 Before you start driving an old motorcycle and to ensure its optimal performance and safety on the road, pay attention to the problems that have been mentioned above.